The first step in MDM is the enrollment of each device. The enrollment process will ensure that the company's policies are enforced. These policies can include a variety of things, ranging from ensuring that content filtering is enabled or that the device has not been rooted. Once the device has been enrolled, the mobile device is immediately allowed to connect with company apps. You can also change these policies at any time or reevaluate them to ensure that each mobile device remains in compliance. One of the main benefits of partnering with an IT support company in Fort Lauderdale is that you will receive around the clock monitoring for each mobile device. If any unusual activity is detected, you will immediately be notified, and the device will be locked until an investigation is complete. As you know, mobile devices are much less secure than a PC, and it is critical to choose an IT provider that will monitor each device as part of its services. The IT world is always changing as new technology steadily comes available. Fortunately, an IT provider will enable you to receive the newest updates as soon as they are released. Instead of using outdated technology, you will have access to the newest versions. Each update is automatically downloaded, and you will be sent patch notes detailing all the changes and how it will affect your business. Businesses are always evolving, and the use of MDM will enable your business to grow at your rate without being limited by technology. If you need to upgrade or downsize, you are only one phone call away from an IT provider that will tailor its services to meet your needs. Choosing the right IT support firm in Fort Lauderdale can have a significant impact on your business when it comes to MDM. 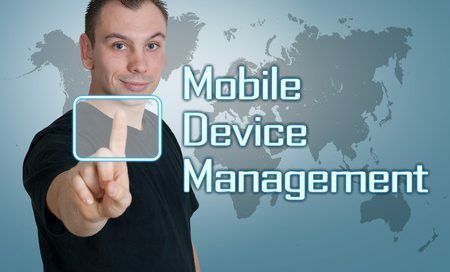 More and more businesses are using mobile devices for their everyday functions, and this trend will only continue to grow--- therefore, it’s critical to have an IT provider that includes MDM in their IT services. Nexxen Technologies is an IT provider that helps businesses to monitor their mobile devices in the workforce. Our IT staff will monitor each device around the clock and provide security against the wide variety of cyber threats. Contact us today to learn more.